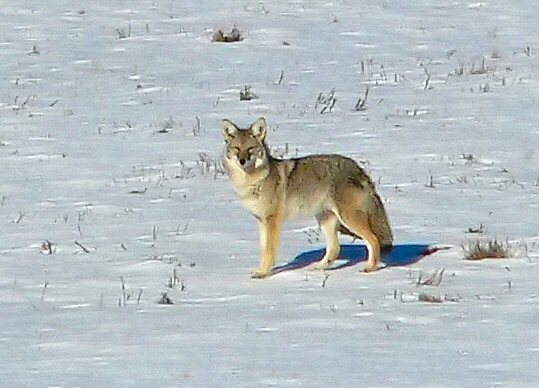 Spotted this cayote hunting in a field, about a 1/4 of a mile away, picture taken at full 12x zoom. This image is cropped to about 1/10 of the full frame. Looks like you'Smithersonians' still have a fair amount of snow too!